Between wrangling heaps of presents for everyone, making sure your house exudes just the right amount of holiday cheer, and trying not to go too far into soul-crushing debt, people are lucky not to be completely exhausted or insane by New Years. 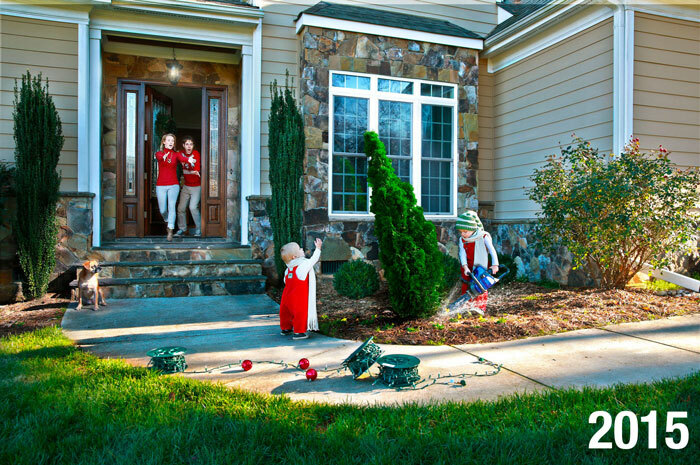 Fortunately, in the midst of all the picture-perfect Christmas updates going around, the Stanleys of Charlotte, North Carolina are sending out photos that feature a bit more holiday realism. Since 2014, the family has been sending Christmas Cards that highlight the true (and often very stressful) joys of Christmas spent with two young boys. They even added a baby girl to the mix this year! 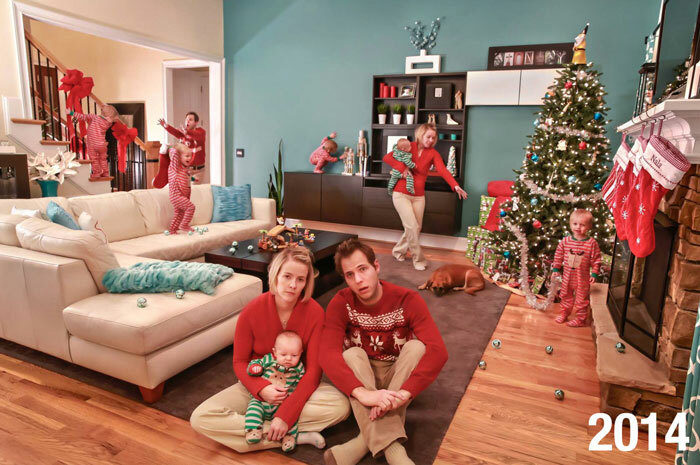 “The very first time we tried to take a ‘traditional’ Christmas card photo we had hilariously bad results,” Jonathan Stanley told Bored Panda. 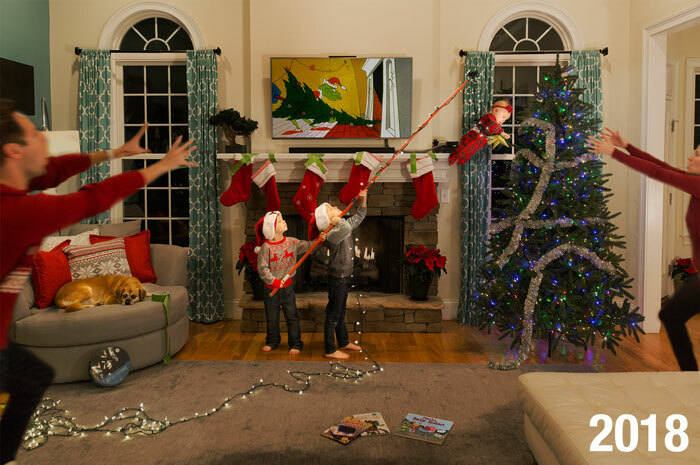 Jonathan says his goal is to make it look like it’s a perfect Christmas scenario, “as if it’s a Pottery Barn ad or something,” that has gone horribly awry. 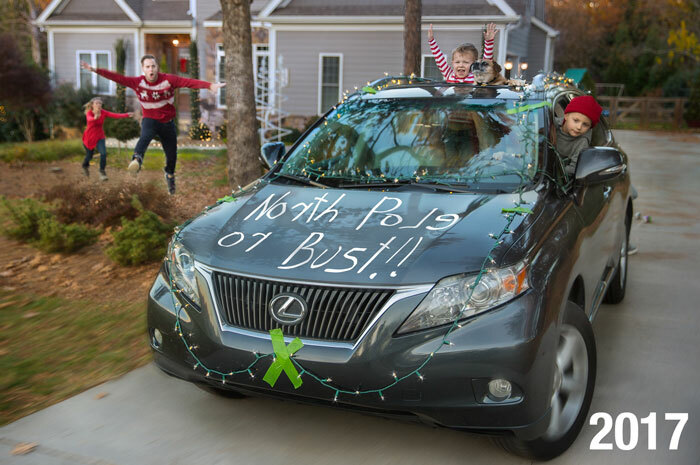 “The hardest part is getting the kids to look in the right place and hold the right pose – especially when they were younger,” Jonathan added. “We use a lot of tricks like putting bells on a pole and then holding it where their eyeline needs to be, etc. Obviously, the Stanleys have built quite a reputation at this point. “I think deep down everyone hates trying to get a photograph for a Christmas card,” he admits. “It’s near impossible if you have young children – so people appreciate a card that emphasizes the challenges of parenting vs. hiding them. Plus a lot of people seem to appreciate that the cards are a fun thing we do together as a family. After all, the family that plays together stays together!